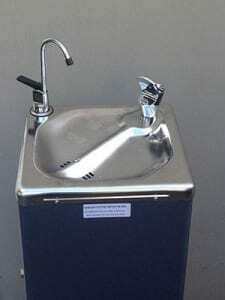 When office water bubblers & drinking fountains are required, our 10 litre capacity filtered water bubbler & glass filler is a hard wearing, sturdy bubbler unit perfect for schools, construction sites, hospitals, factories and many other environments where a water drinking fountain is required. 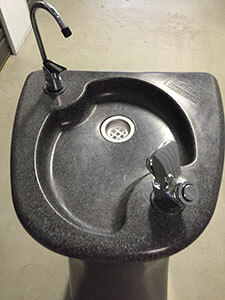 Our water bubblers & drinking fountains connect directly to your main water supply making them very easy to use. Once they are installed, our chilled water bubblers & drinking fountains will give a continuous flow of cool filtered drinking water at the push of a button. The units are stylish and space saving and have a non-drip operation. 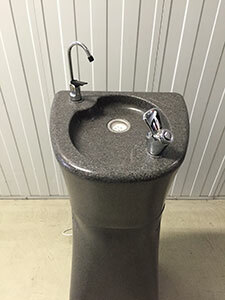 Value H2O office water bubblers & drinking fountain units are all Australian made. They feature a polished stainless steel top and Colourbond body which makes them easy to clean and maintain. The water bubbler units have a 1.5 litre stainless steel tank inside the chilling chamber to meet peak usage periods. 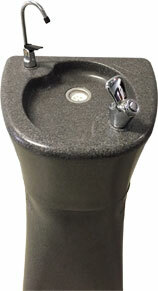 Our office water bubblers & drinking fountain units are by far the best on the market. The internal, in-line filter in all our water bubbler & drinking fountain units will reduce sediment, chemicals, organic compounds and impurities which can adversely affect the quality and taste of your drinking water. All refrigerant gases contained in the drinking fountain units are non-toxic, non-flammable and environmentally friendly. The water bubbler is rated to supply 1.7 litres per minute at mains water pressure of between 140 and 700kPa, with an automatic, self-regulating control fitted to overcome varying pressure in the mains supply.